The transmission is what changes the gears of an engine, transferring power to the wheels to move a vehicle forward. Without a properly working transmission, your car won’t move, leaving you stranded in Maple Shade, Moorestown, Cherry Hill, or some other town. That’s why we created this guide on transmission repairs. 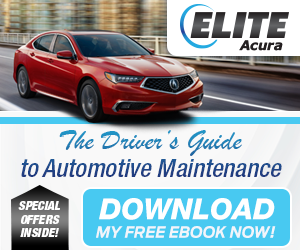 Learn all about this topic below and next time you’re searching for a “transmission repair near me”, contact us at Elite Acura! If you notice any of these warning signs, then the vehicle needs to get looked at as soon as possible. You can get a transmission repair at our state-of-the-art service center. Here, our certified technicians will take care of any transmission issue that they’re presented with. One of our techs can perform a computer diagnostic to see if an electrical component needs to be replaced. They can also perform a transmission flush. This will help push the sludge that’s accumulated in the transmission. Dirty transmission fluid can lead to a loss of acceleration, difficulties in gear shifting, or a total transmission failure. We’ll replace the fluid and change the filter, too. In most cases, your transmission will need a simple repair. Though, if all else fails, we’ll replace the transmission to get your vehicle up and running again. We’ll only use genuine parts, so you can be in a top-quality automobile for a long time. We’ll work quickly and efficiently, so you can get back on the road as soon as possible. 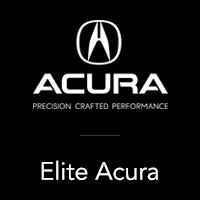 If you need to find a transmission repair near me, then schedule service at Elite Acura. Supply us with info about your car, and we’ll confirm a day and time that work for you. So, if you live near Maple Shade, Moorestown, or Cherry Hill, then schedule a transmission repair today!